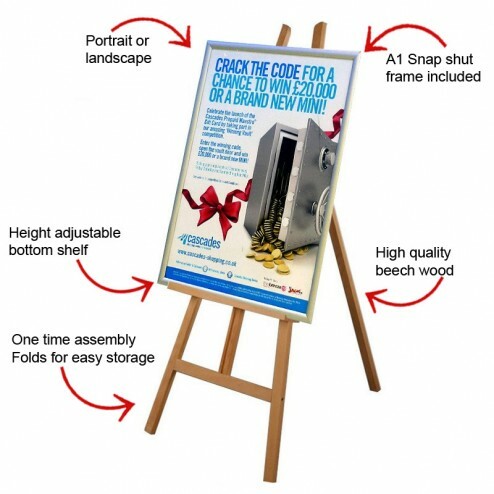 This completely portable display package combines a classic wooden easel and a high quality, snap-shut poster frame to hold an A1 graphic prominently on display in your shop, business or event space. 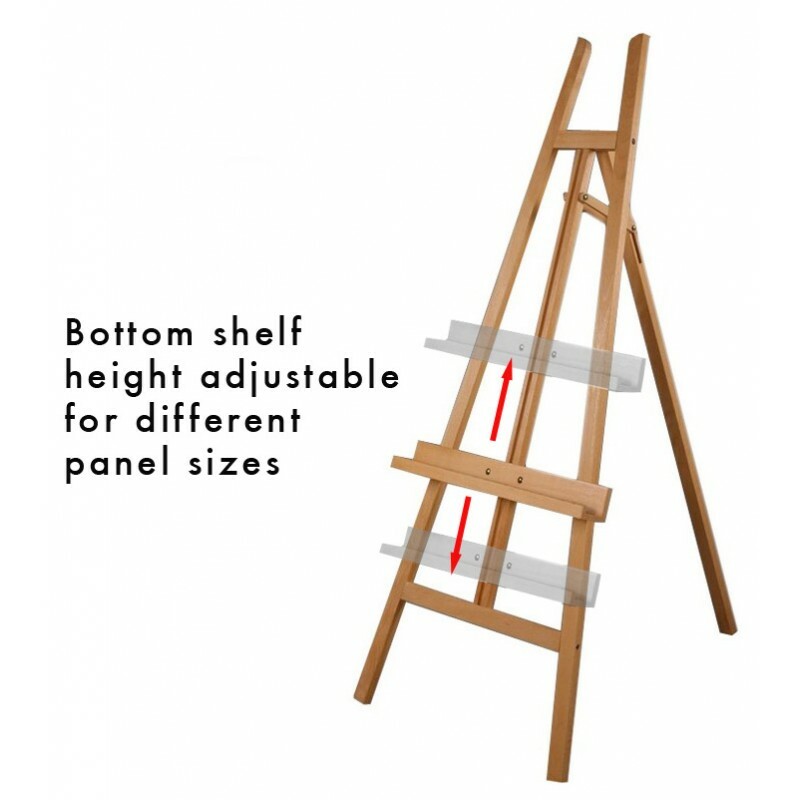 The versatile tripod display easel is made of warm, natural beech wood and is both height and tilt adjustable, allowing you to display the poster frame in either a portrait or landscape orientation. Strong and durable, simply use the large easel’s locking ratchet mechanism to find the right height, place the frame in position and the integral lip on the bottom shelf will hold it firmly in place. 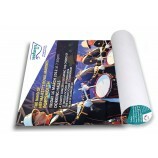 The snap shut frame makes graphic changes quick and easy, allowing you to update your promotional messaging in seconds. 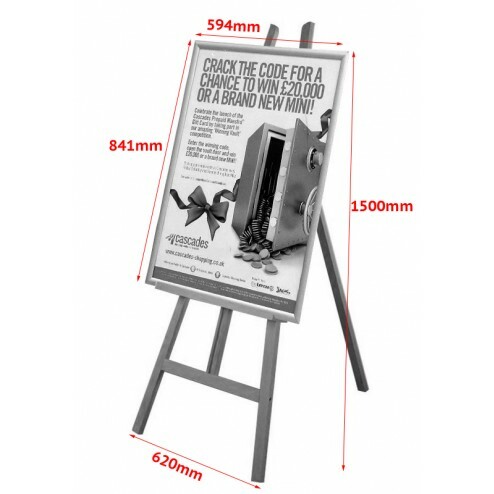 Simply open out the hinge mechanism and place a new poster in the front loading frame, then snap the hinges shut – your graphic will be held securely in place, and a crystal clear cover keeps the poster clean and protected. 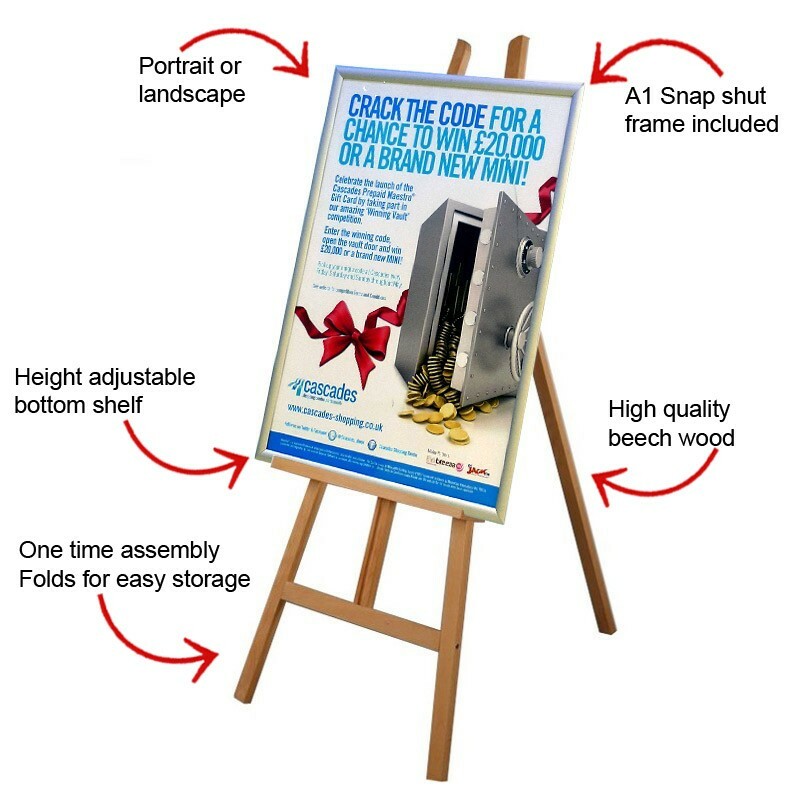 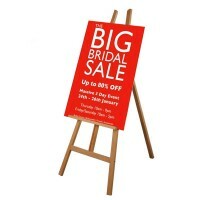 Cost effective and versatile, the easel and snap shut frame are ideal for displaying promotions in retail spaces, advertising sales in-store, holding specials boards in restaurants, directing guests around events, or as a POP or POS display. 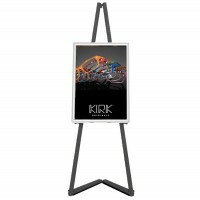 It is quick and easy to set up and fold flat for transportation and storage, making it a great display choice for moving between rooms in office buildings for displaying sales presentation material and marketing graphics, or alternatively use it on your stand at trade shows and exhibitions. 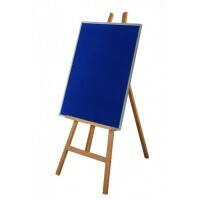 Whatever you choose to display, this display easel with poster frame is an attractive, portable and attention grabbing choice.